During our creative presentation, we'll share visual tools to help explain our recommendations and to help you imagine how everything is going to come together. 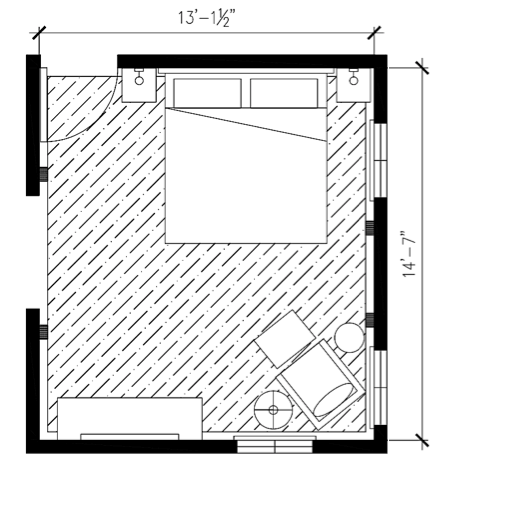 We start projects by planning how to use the space in a room, illustrated by a floor plan. 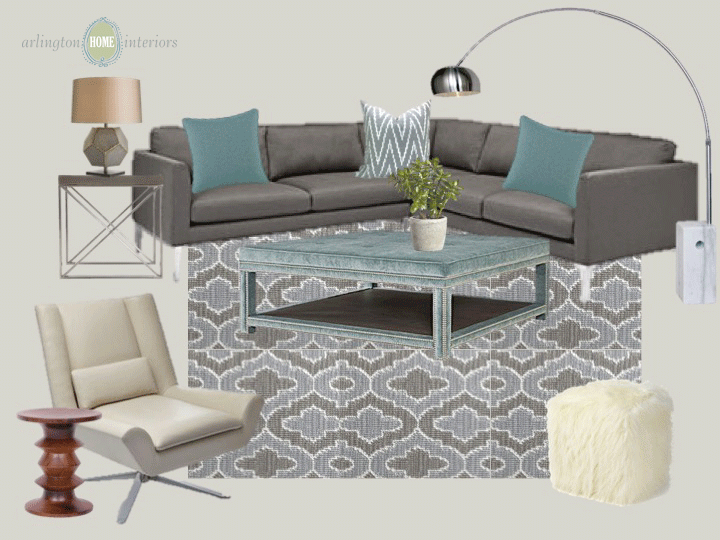 We identify how you want to use your space by asking questions, and then we recommend the most functional way to configure the furniture based on your input. 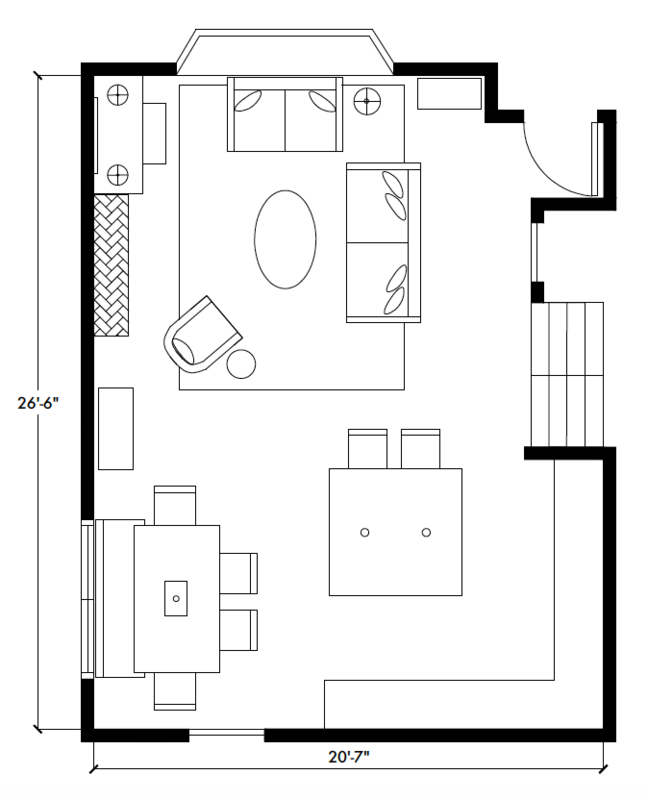 The floor plan is shown from an over head perspective outlining every piece in the room and its approximate dimensions. An elevation is a drawing that shows the front or side of a design. 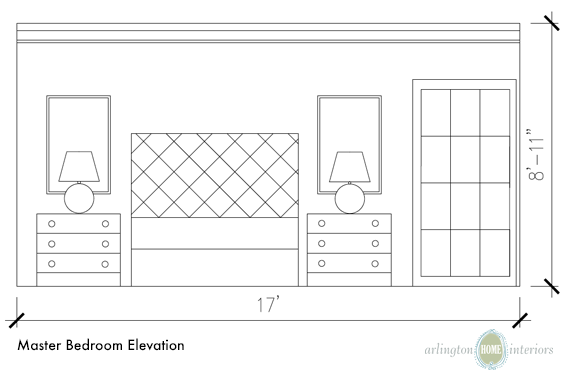 In some cases, we use elevations to illustrate how objects look from a certain viewpoint. 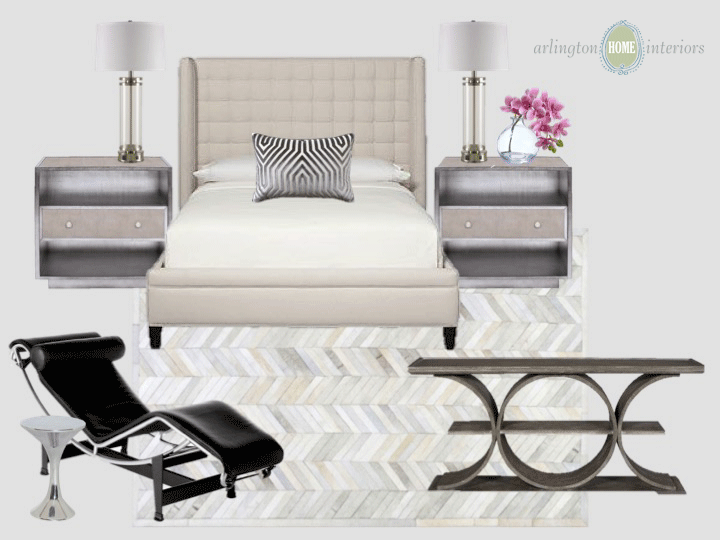 For example, how a headboard, side tables, lamps and art will fit on a wall; or how built-in cabinetry will fill a space. 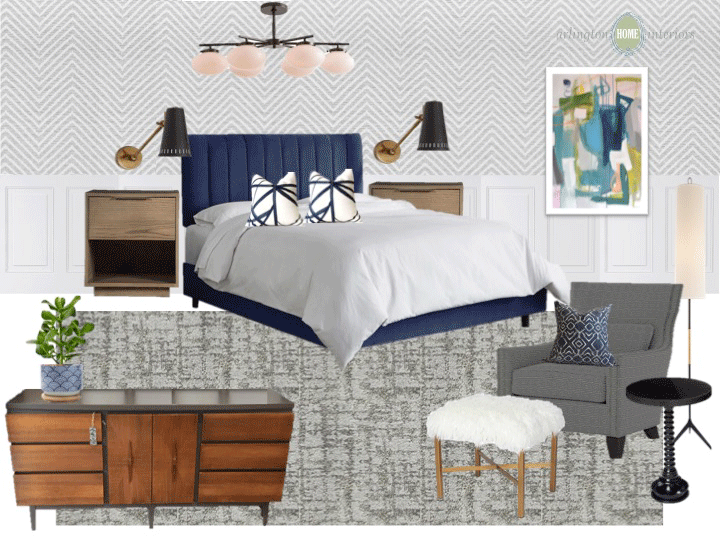 Mood boards present a visual inspiration and reference point by including the style of furnishings, the color palette and how everything works together.